Are looking for boiler repair in Havertown, PA? If so, call John McCuen Plumbing Heating Air Conditioning, Inc. today at (610) 325-9395 for professional boiler repair. For special offers and money-saving coupons, click here. When you live in Pennsylvania, you trust that your home’s heating system is going keep you warm no matter how cold the outside temperatures get. You probably don’t even give much thought to your heating system until it stops working. If the temperatures in your home are dropping, and you are in need of fast boiler repair in Havertown, rely on John McCuen Plumbing Heating Air Conditioning, Inc.
At John McCuen Plumbing Heating Air Conditioning, Inc., our technicians can handle these, and many other, problems with ease. In the event that repairing your boiler isn’t the most cost-effective option, we can also help you choose the new boiler that is best for your home, and we offer fast and affordable Havertown boiler installation. Keeping up with boiler maintenance is the best way to avoid needing Havertown boiler repair. Routine maintenance ensures the longest possible lifespan for your boiler, and whether you’re doing the maintenance yourself or you opt for professional Boiler maintenance in Havertown, it provides an opportunity to inspect the system and detect potential problems. In addition to our boiler repair service, John McCuen Plumbing Heating Air Conditioning, Inc. also offers professional boiler maintenance in Havertown, PA. Choosing John McCuen Plumbing Heating Air Conditioning, Inc. for boiler maintenance or boiler repair in Havertown means choosing professionals who are dedicated to providing effective and affordable solutions and excellent customer service to everyone we serve. We are also a trusted part of the community. 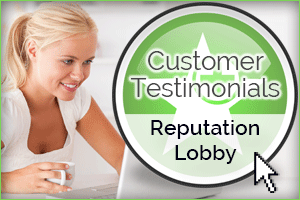 Visit this page to see all the great things your neighbors have been saying about us! If you need boiler repair in Havertown, PA or the surrounding areas, call John McCuen Plumbing Heating Air Conditioning, Inc. now at (610) 325-9395.